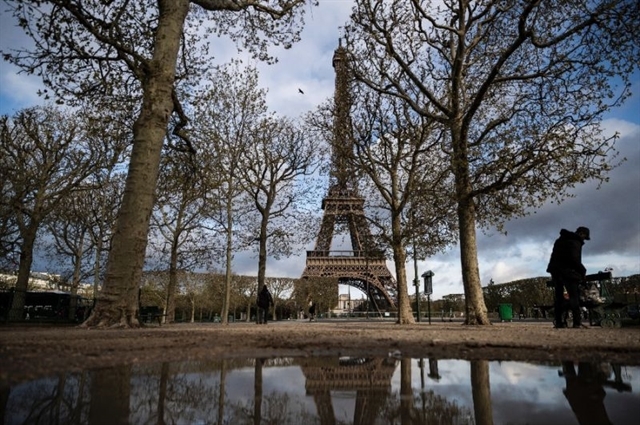 PARIS — French tourism figures reached a new record in 2018 despite weeks of violent "yellow vest" protests that caused a late slump, the national statistics institute (INSEE) said on Tuesday. The number of nights spent by people at French tourist accommodation, including hotels, campsites and youth hostels, rose to 438.2 million in 2018, up 9 million on 2017, INSEE said. The report did not include figures for home-sharing platforms such as Airbnb. Foreign visitors fuelled the surge, with large increases in Italian, Spanish and German visitors reported by accommodation providers. The surge came in a year "marked by large-scale nationwide social movements on two occasions," INSEE noted, referring to two months of rolling rail strikes between April to June and the "yellow vest" anti-government protests that began in mid-November. The weekly demonstrations, which have frequently ended in rioting and looting in Paris and other big cities, caused a 5.3 per cent dip in hotel stays in Paris in December, the statistics showed. Nationwide, the effects were more marginal, with only a 1.1 per cent drop reported over the month. Tourist industry operators fear that this year will be less bountiful, with Britain's plans to leave the European Union causing fears of a decline in cross-Channel visits.